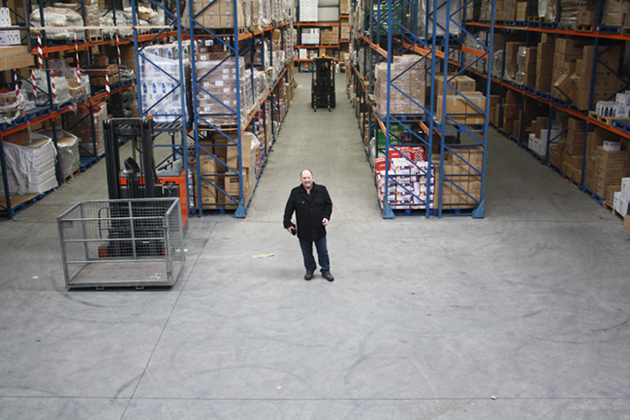 Around A Pound was established in 1999 by Gerard and Siobhan Rice, a lorry driver and retail assistant, who had the ambition of opening a quality discount store following a short period of selling at outdoor markets across Ireland. The couple launched their first store in May 1999, taking over the building that originally housed the Pound City store in Newry, County Down. The new venture created immediate employment for five people and increased to ten within the first year. By June 2001 the company was opening its second outlet in a premises, previously a Tesco, in the centre of Banbridge, County Down. The success of the new store led to creation of jobs for a further ten people. In 2003 to facilitate their continued growth, the company bought the building that housed the Credit Union in Newry. Summer of 2005 marked the company’s sixth year in business and the launch of the third store located in Newcastle, County Down. This store took advantage of the huge tourist audience that was attracted by the seaside town, creating a further fifteen jobs in the area. The company’s fourth outlet opened soon after in 2006; this was the first to be located in County Armagh, in the town of Lurgan. One year later, in 2009, Around A Pound set up in a shop in Armagh City in a building that was originally owned by the long retired retailer, Woolworth’s. The most recent store to open was in Warrenpoint, County Down, in 2010. Today, Around A Pound employs over 85 staff, manages six successful retail outlets as well as a thriving online business. From humble beginnings, Around A Pound has become a leading community retailer in Northern Ireland, as a result of its consistent dedication to quality products at best value prices. Great Item, fast delivery, excellent seller. Thanks! Excellent Service & Fast Delivery. Excellent Seller, Thanks.